Looking to spice up art time? 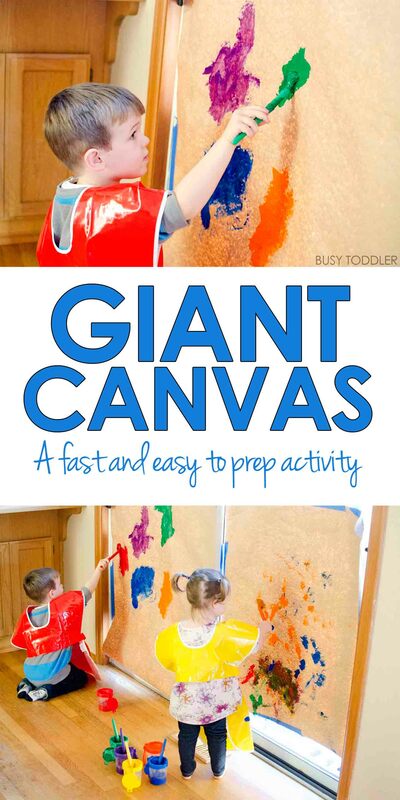 Try this simple giant canvas toddler art activity! I love painting with my toddlers. We do it all.the.time. Why? 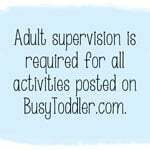 Because it’s a quick activity that can be varied up depending on our mood. We’ve splatter painted, sponge painted, and even used kitchen tools as paint brushes. 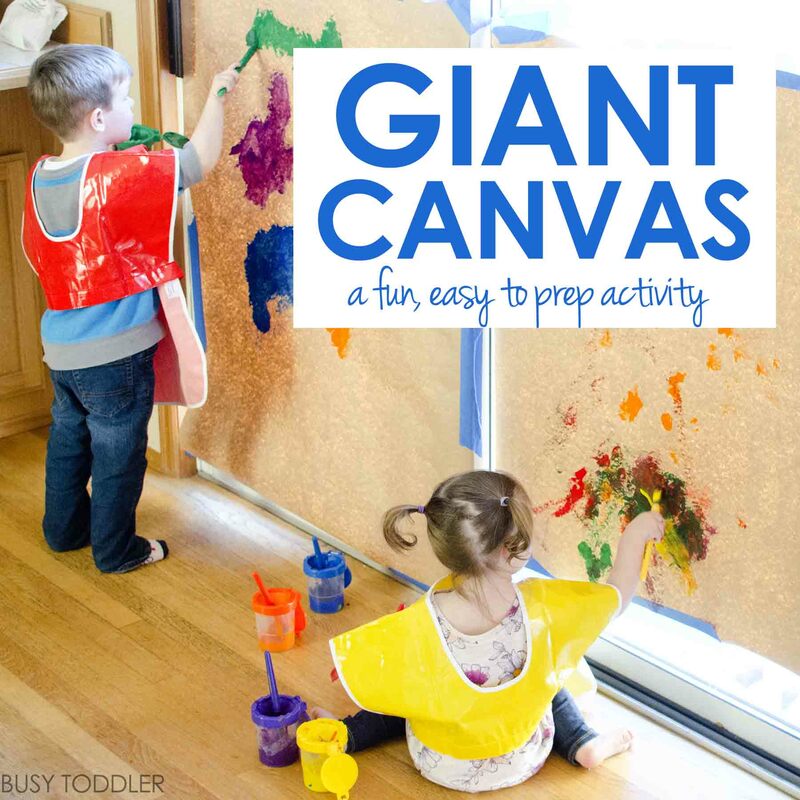 Our latest painting adventure – giant canvas – is officially at the top of our art list now. This activity was just plain awesome! 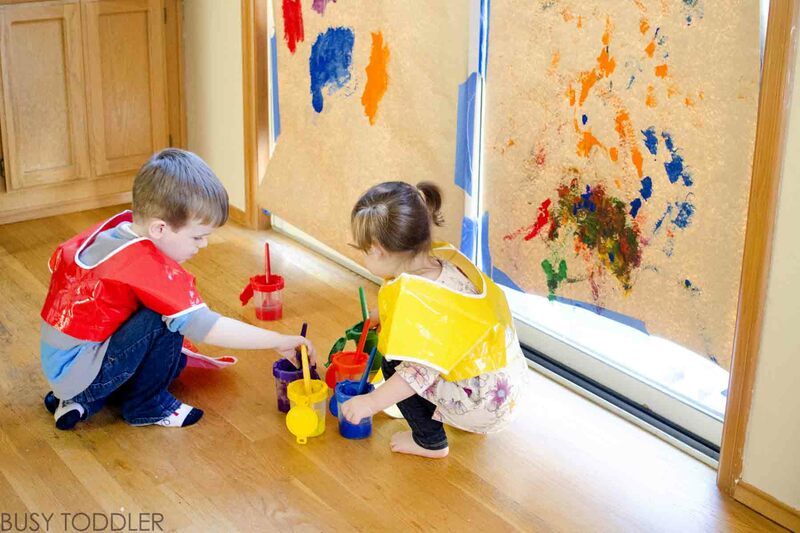 Setting up this Giant Canvas toddler art activity is so easy! I set this activity up on our sliding glass door. It’s a hideous door, but we won’t worry about that right now. 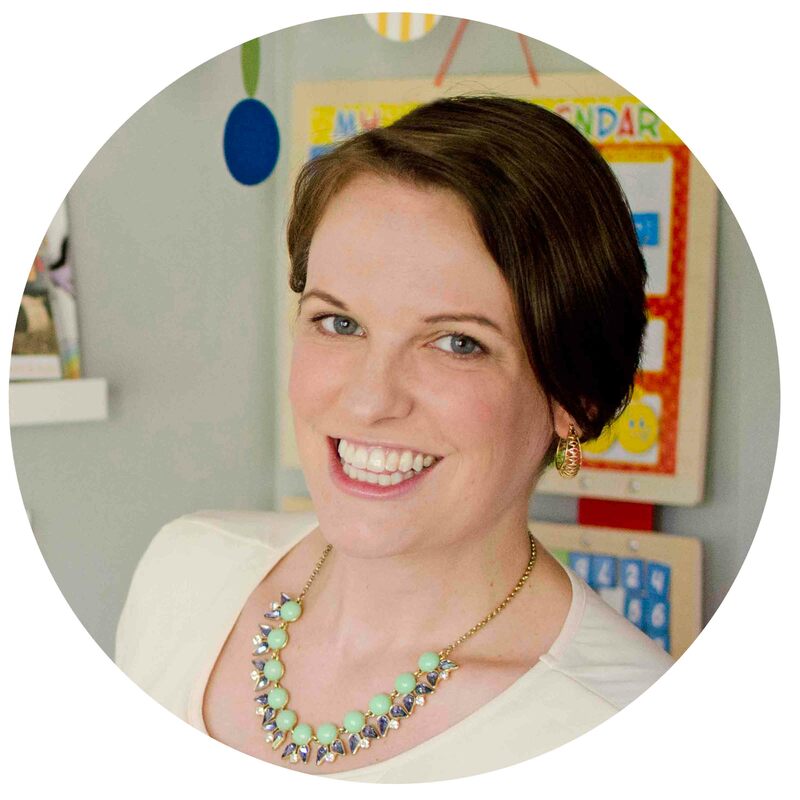 I put up a section of Kraft paper just slightly taller than each of my toddlers. I wanted this to feel larger than life. There wasn’t much to sell the kids on with this activity – they were pumped as they watched me get it set up. Something about the giant canvas to work on immediately drew them in. 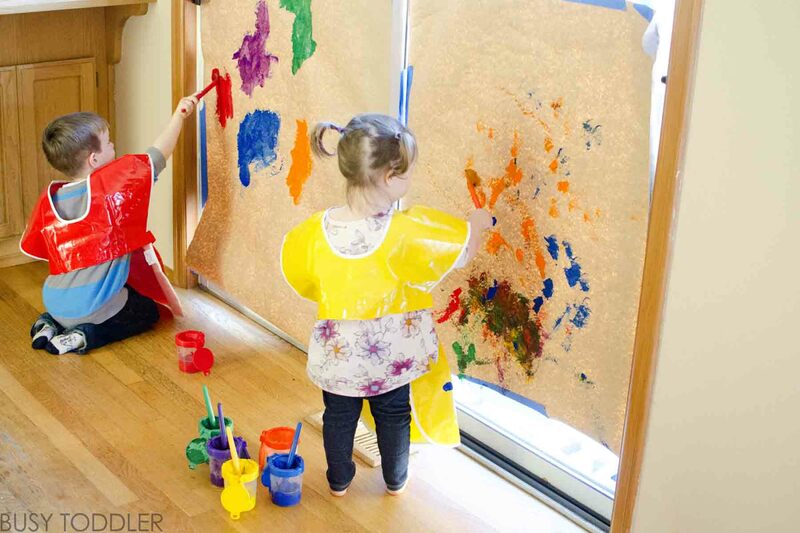 With a 3 year old and a 22 month old, plenty can go wrong in an activity this big (which is why I always follow these 6 tips for painting with toddlers). 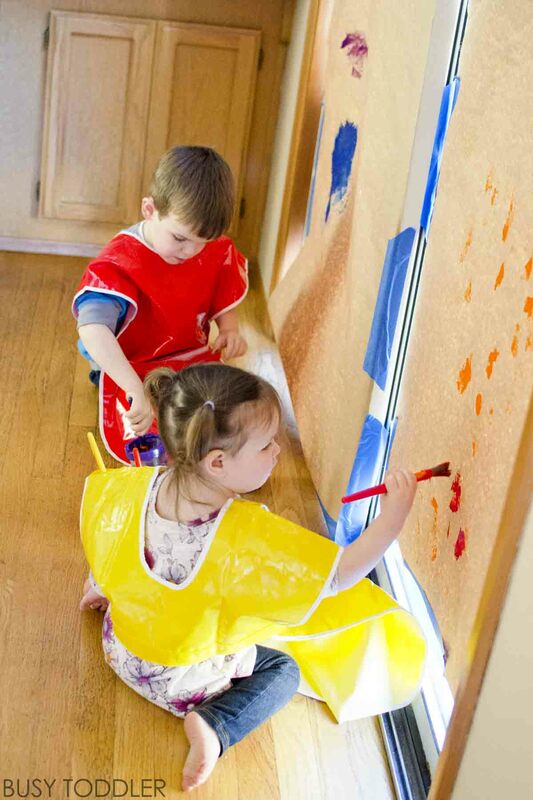 Keep things manageable: make sure you’re painting over a hard surface, set up clear boundaries for where the paint can go, make them feel excited about this privilege. And always have a wet rag in hand. 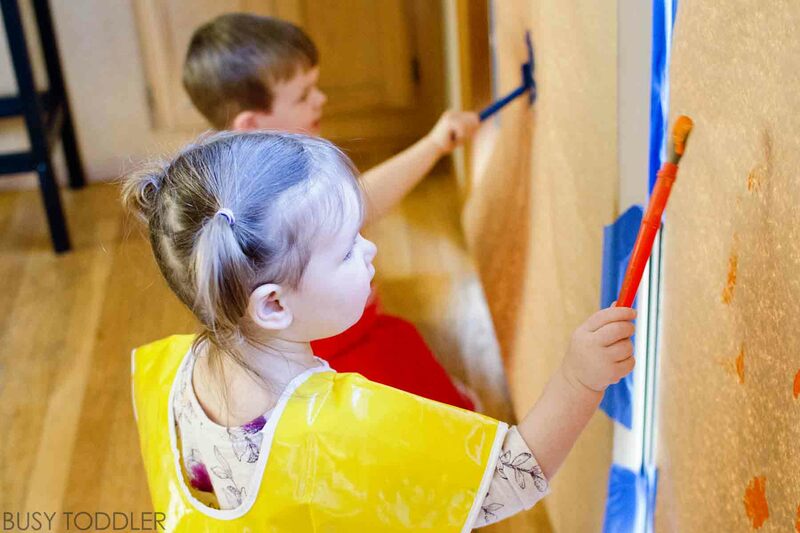 Why is painting on a vertical surface important? It takes an entirely different set of toddler muscles to paint with your arm “up and out”. This is great for toddler muscle development, hand eye coordination, and arm stability. 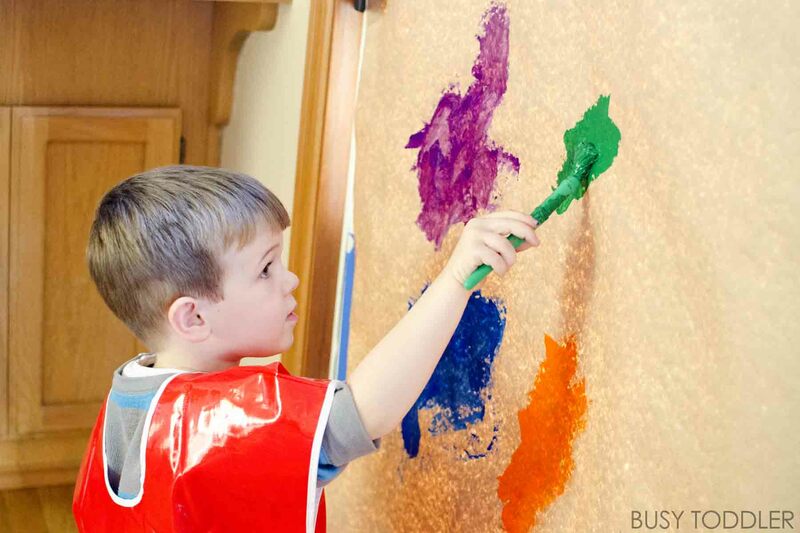 It’s not just painting – it’s a great activity for their muscle development. Was there a big mess? Nope. This stayed really contained. No one got super dirty, nothing spilled (thank you no-spill cups), and the toddlers painted for well past the 30 minute mark. HALLELUJAH. 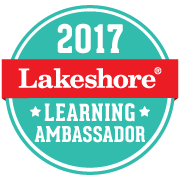 We love this new to us activity and can’t wait to do it again! 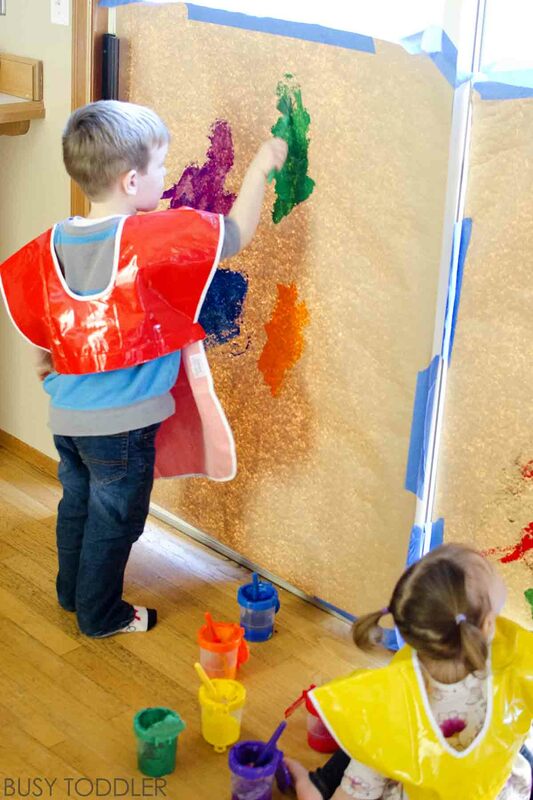 Giant Canvas toddler art was a lot of fun. Will you try it at your house? so many ways this could have gone wrong..great job keeping it under control.